Credit card fraud is on the rise, and, unfortunately, small businesses are top targets. No matter the type of product or service your business sells, it’s potentially susceptible to fraud. That’s why it’s important to recognize and avoid today’s common scams. 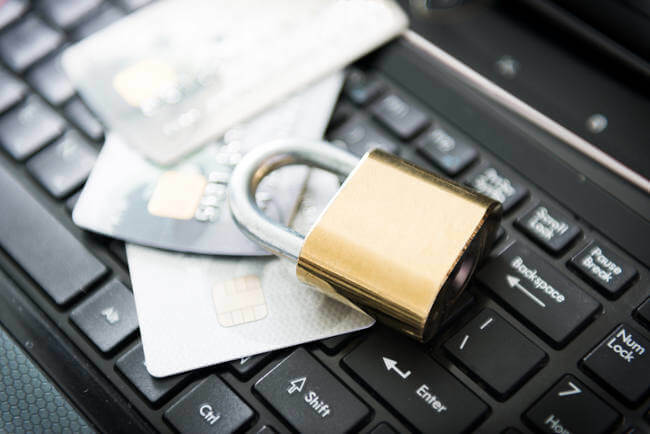 Training and vigilance are the most important preventative measures any business can take in combating both credit card fraud and cybersecurity attacks. Make sure your staff is trained to identify these red flags as well. Your employees can either be your company’s largest vulnerability or its greatest defense. It all comes down to awareness. Ecommerce businesses must have secure websites because the internet adds a layer of obscurity for criminals to hide behind when attempting credit card fraud. Be sure to conduct regular website maintenance to ensure that all security standards are up to par. Also, consider hiring a security consultant to check for any weaknesses. It’s a worthwhile investment because it protects you not only from fraud, but from other cyberattacks such as ransomware. Chip-enabled, EMV credit cards came out in 2015, but not all retailers have adopted them yet. If your business conducts in-store transactions, get a chip-reading machine. They’re not impervious to fraudulent transactions, but they make it much more difficult. No matter how thorough of preventative measures you take, it’s possible that your business falls victim to fraud anyway. Be prepared for that. Taking the correct measures after fraud has occurred may allow you to recover the merchandise or funds the fraudster stole, though it’s not guaranteed. Fighting credit card fraud after it has occurred can be time-consuming and expensive. The best way to beat it is to prevent it from happening in the first place.